OK everyone it is time to waist away with us in Kick-Robics, the workout that packs a punch. Get in fantastic shape while learning self defense as well. 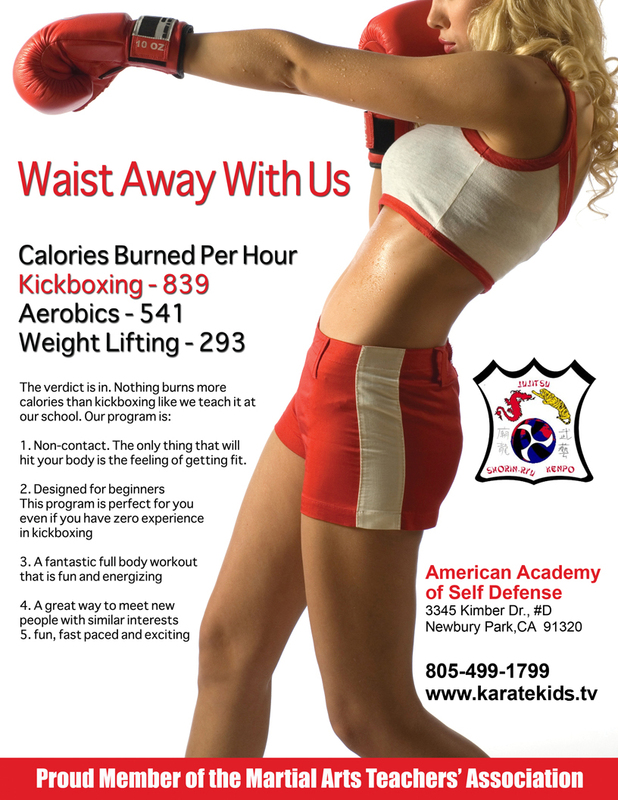 Our fun atmosphere is enjoyed by all, the ultimate fitness workout, and the best part is you don’t have to know any karate, or martial arts.